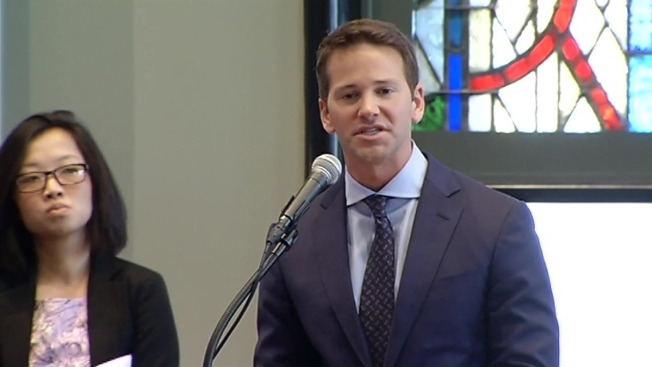 It has been more than four months since Aaron Schock resigned from office, after NBC5 Investigates and other news organizations raised questions about how he was spending his campaign money and congressional funds. But new documents filed last Friday with the Federal Election Commission show the former Peoria congressmanis still spending his campaign money, even as he’s under federal investigation. NBC5 Investigates found that since resigning from office Schock has paid more than $1 million in legal fees, to seven different law firms, from his main campaign fund, Schock for Congress. He has also drawn from that fund and two others – the Schock Victory Committee and his Leadership PAC, the GOP Generation Y Fund – to issue refunds to some of his donors, totaling more $95,900.00. But even after the legal fees and refunds, Schock still has more than $2.2 million in campaign money in the three funds. NBC5 Investigates examined the most recent disclosures for all three of Schock’s campaign committees, focusing on expenditures from mid-May on – a full two months after Schock stepped down from Congress. The campaign disclosure describes the expenditure as “PAC Event Facility Rental,” with no additional explanation. As NBC5 has reported, Leadership PACs such as Schock’s are not required to provide more than a two- or three-word description about how or why they spend their money. Schock continued to pay out campaign money in mid-June – three months after resigning from Congress – including $3,870.86 for airfare, car-rental, and what appears to be a last-minute hotel room. And he paid two bills to the car service Uber, totaling $1,287.46, in May and June alone. In addition to the new campaign disclosures filed on Friday, Schock also filed his 2014 Financial Disclosure Statement with Congress. In it, he finally discloses his purchase of a business called Menards Peoria LLC. The former congressman was summoned last week to Federal District Court in Springfield, to answer allegations that he had not provided all information and documents requested as part of a federal investigation. Schock’s attorney says the former congressman is cooperating fully. NBC5 Investigates attempted to contact Schock for comment, but did not get a response.